History was made at Lords by Kapil Dev and his men in 1983 and repeated after 28 years at Wankhade Stadium, Mumbai on Apr 2nd 2011, by M.S.Dhoni and company. Kumar Sangakara won the toss at Wankhade and chose to bat Sunday in the final of the World Cup 2011 against India. 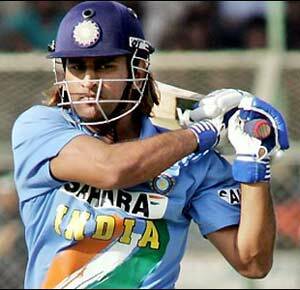 In the end India beat Sri Lanka by six wickets to clinch the coveted trophy. It was the determined effort from Gautam Gambhir who scored 97 runs and a chanceless 91* from M.S.Dhoni which paved the way for India’s victory over Sri Lanka. This helped India overhaul the score of 274 set by Sri Lanka for India to win the title and it is the highest ever run chase in the World Cup final. Sri Lanka won the toss and elected to bat. They made full use of the track and Tilakratne Dilshan slammed a chanceless century to maintain the hold of Sri Lanka on the match. Though embroiled in the no-ball controversy in depriving Sehwag of a century in the previous encounter with India, he had saved his best performance for the last. The Kings XI Punjab scored 174 for the loss of three wickets against the Deccan Chargers at the HPCA Stadium in the picturesque hilly town of Dharamshala on Thursday. Jayawardane and Shaun Marsh opened the innings for Kings XI Punjab and Marsh was out for a duck caught Gilchrist bowled Harris. Then Jayawardane alongwith his Sr Lankan team-mate[[ Kumar Sangakara took control of the Punjab’s innings. Kings XI Punjab beat Mumbai Indians by six wickets in an exciting encounter and got victory over the team sitting pretty on top of the table. Mumbai Indians won the toss and elected to bat at the PCA Stadium,Mohali, Chandigarh on Friday. Sachin Tendulkar and Shikhar Dhawan opened the innings for Mumbai.